I don't really do a lot for my skin in the way of products; a gentle all over organic body wash works well to remove makeup and dirt from the day. I have always found that my diet has a much bigger effect on the appearance of my skin than any product. However, I recently discovered Don Tolman's 'ReNew' face scrub. I have always been a follower of Don Tolman's work, having read many of his books and attended his seminars. The first thing that stood out to me was 'sea salt scrub.' Salt works wonders on my skin, and whenever I spend time at the beach my skin seems to clear up. The salt is balanced by a mixture of essential oils, which help to moisturise and nourish the skin. When it arrived, the scrub looked exactly as you would think salt and oil mixed together would look. Excess oil separates itself to the top, so it's important to stir it in so you get a good mix. It's pretty good value for money, as a little goes a long way - a 10 cent piece sized scoop is enough to do my whole face and onto my neck. 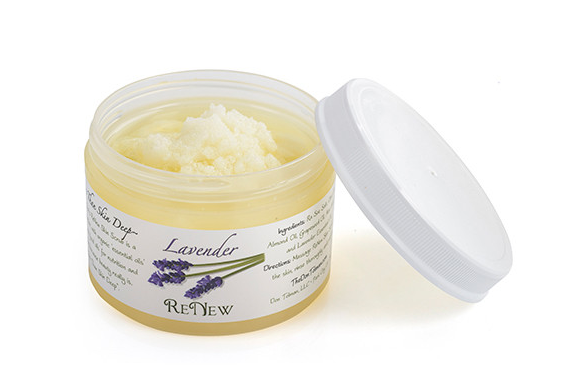 The salt and oil scrub gently exfoliates dry skin and stimulates cell renewal. 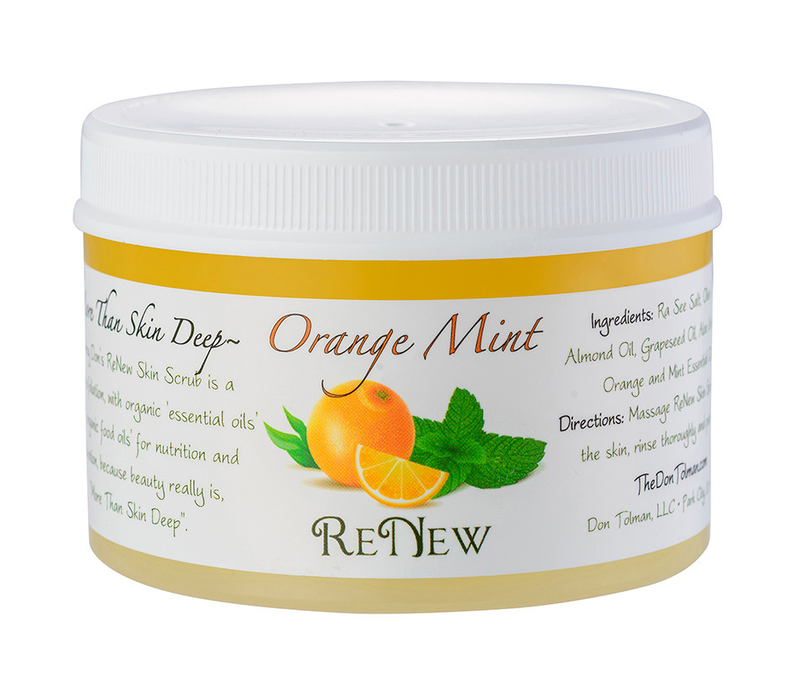 I chose the orange and mint scented scrub, which leaves the skin feeling incredibly refreshed, although not so great if you accidentally get it up your nose! Once you wash away the salt, the oils are left behind which means that you get to re-live the fresh face feeling even once you're out of the shower! I found that using this 4 or so times a week has made a big difference in the health of my skin. It prevents breakouts and gives my face an even, rejuvenated glow that I didn't have before. It's almost like having a facial every night! The scrub is 100% natural organic ingredients (so pure you can eat it! ), preservative and chemical free and is vegan friendly - never tested on animals. I shared my first tub with my Mum and Sister so that we could all try it out and we all loved it! We all have very different skin types and different needs, to which it catered to very well. If you have naturally oily skin don't be put off! Oil removes oil. And if you have dry skin like me, it's also perfect because the oils moisturise into the deep layers of the skin, leaving me to only assume it's basically the most versatile face scrub there is!